Use bite sized food items or cut the items into bite sized portions so that students won't have a chance to bite half and see what the inside looks like. Tell students they have to put the whole thing in their mouth. Have a prize ready for those who guess correctly: A box of real chocolates perhaps? Refrigerate each item before you pour melted chocolate on it so the chocolate hardens. 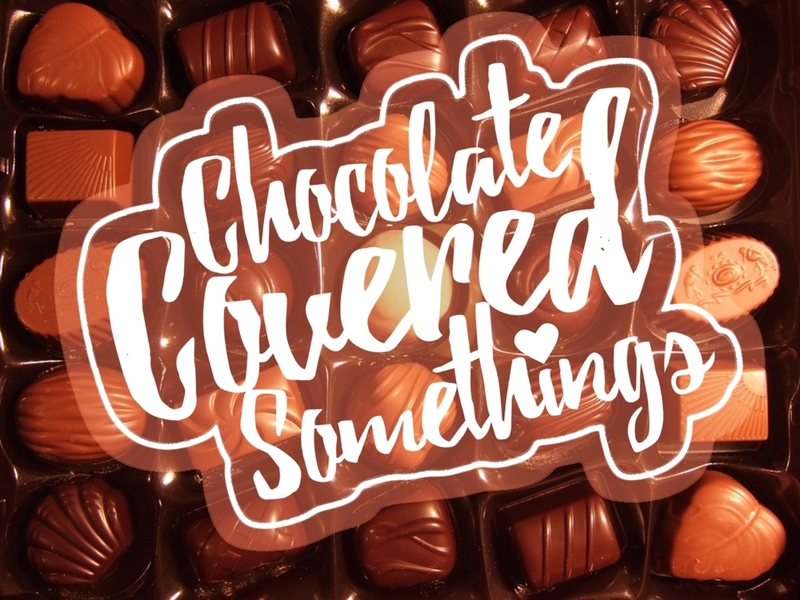 Make a master list and number it one through however many chocolate covered items there are. And then give each item a number. For example, a chocolate covered banana bite could be number 1 and a chocolate covered oreo could be #2. So on and so forth. Then create a grid on a piece of paper and number it one through however many items you have. Put the items on their corresponding numbers on the grid. Call two students up. They're going to take turns choosing, eating, and then identifying what chocolate covered food item they've eaten. You'll know what they've eaten based on the grid. We did whoever got the most right out of three. So student A selected a chocolate and then ate it and then identified it, then student b went. If student A got it right, he got a point. If he didn't guess within the time, he got zero points and if he guessed incorrectly, he got negative one point. Then student b went. We did scoring this way in order to limit the chances of a tie. For a tie breaker you could have two of the same chocolate covered food item and award the first person to identify it correctly. Or have them play rock, paper. scissors. We had skittles standing by and had them both eat the same colored skittle and whoever guessed the right color first won.